I am Arif Hussain from Pakistan. I have experience in WordPress Installation, customized the theme, installed plugins,Forum Posting and data entry work. 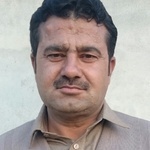 I can provide quality work...Read moreI am Arif Hussain from Pakistan. I have experience in WordPress Installation, customized the theme, installed plugins,Forum Posting and data entry work. I can provide quality work with good price. I can complete work on time and with accuracy.